Developing a visual identity program that can be maintained in-house and remain both consistent and understandable. 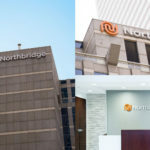 Northbridge is one of Canada’s leading commercial property & casualty insurers with $1.3 billion in premiums. Following a brand strategy exercise conducted by a third party, Overdrive teamed up with colleague Paul Browning of Browning Branding to create a pitch. 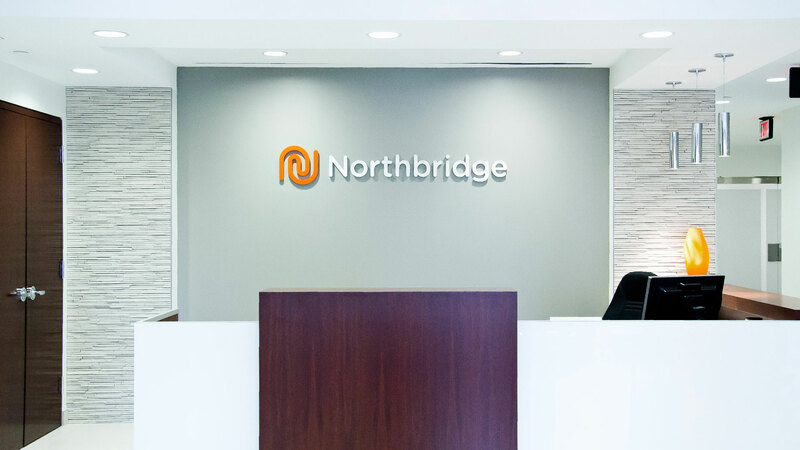 We ended up winning the contract for a new identity for Northbridge, following the merger of its three broker-based companies—Lombard, Commonwealth, and Markel—into a single brand. 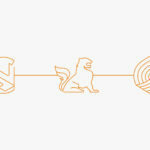 The project involved developing a new logo and brand expression. 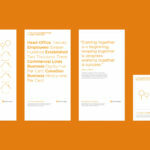 Using guidelines established by Overdrive and Browning, in-house resources are now able to extrapolate and produce collateral material for the company while maintaining a coherent and consistent brand. This approach was developed because of its relation to the linework in the Northbridge symbol that contains the notion of a continuous form. The identity was designed with a simple line approach to allow evolution and maintenance by in-house staff at Northbridge. The symbol is comprised of a single line that folds in on itself embodying the ideas of connectivity and continuity which is then wrapped up in a form suggestive of an abstracted N.
A few of these pieces have yet to be produced but were included in the formal brand standards showing the correct application of the logo, palette and secondary elements to give the in-house staff a sense of the intent for the identity. In text, the heavier weight references the weight used in the logo. The lighter weight references the line weight most commonly used for illustration. Palette is mostly monochromatic—either mostly orange with an accent of white, or the reverse as shown here. These are examples of exterior and interior signage as they currently exist in downtown Toronto. 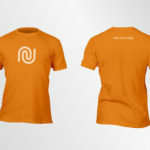 Various applications of the Northbridge identity.